For those looking for a creative spark in their home or office, this industrial loft pendant light manages to bring a bit of organized chaos into your space. 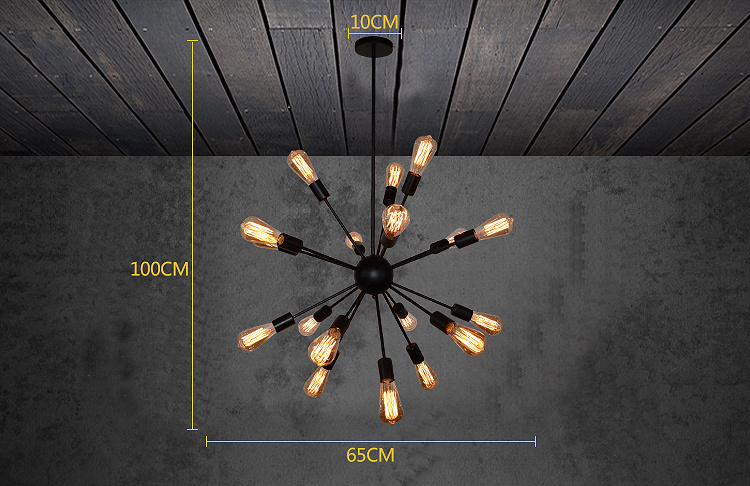 With branches fitting 16 light bulbs, this vintage pendant creates a spherical shape, resembling an explosion of sorts. Utilize with vintage Edison light bulbs to create a dim, raw, industrial atmosphere or combine with modern LED lighting to brighten up the room.